A private detective agency is a company which offers professional investigation services to the public, as well as to governmental or non-governmental organizations. 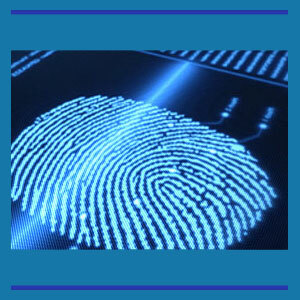 Most detective agencies offer a full range of customized services to fit the needs of every client’s case profile. However, whenever possible, it is always a good idea to find an investigator who specializes in your particular type of assignment, to ensure the best results in the shortest time frame. The scope of this article is to detail the benefits and drawbacks of large and small detective firms, in order to help clients choose the best investigator for their highly specific needs. A small detective agency represents the majority of investigation businesses worldwide. These companies are usually comprised of a single owner/operator or a small group of 2 to 4 investigators. Former police and federal law enforcement officers typically choose to work in this type of agency, since they are very experienced and can stand alone when confronted by the wide range of unknown circumstances which occur on the street. In order for a small agency to be competitive, they must be very good, since their available resources are very limited. Many clients enjoy the personal attention of dealing with a small private investigation agency and prefer to speak directly with the owner, who is also typically the agent working on the case. When trust, secrecy and discretion are paramount, some clients insist on using the services of a single owner/operator, in order to minimize the paper trail associated with their case. Big investigative firms consist of many detectives employed by a central company or director. In some cases, really big firms may consist of international offices all working together continent to continent. Sometimes large agencies can have 10 field operatives, while really large firms might employ several hundred to several thousand investigators globally. The downside of large detective companies may include possibly higher costs and less individual service. A large firm might cost the client more, due to administrative fees, although this is not always true. Big detective agencies may be less personalized in their service, but some do everything possible to mimic the intimacy and trust of a small agency. On the positive side, large agencies have the tools and manpower to really work a case from multiple angles. If time is a constraint, a large agency can typically produce the fastest results, utilizing the services of multiple investigators at once. When the case involves distance or travel, detective organizations with numerous offices can really save a client time and money. Working in a large agency is more competitive, since advancement is usually based on performance, so every agent will usually do their best to stand out in the pack. Hiring a private investigator takes a bit of thought and research. It is better to spend some time understanding what you can and can not expect from your choice of detective, as well as the how much the work will cost. A learned and knowledgeable client is generally a happy client. Once you have the basics down, you should contact and interview several investigative agents, to get a feeling for their individual talents and overall professionalism. Make sure to compare prices and the services which will be provided for the fee indicated. However, do not hire any professional investigator based on cost alone. Sometimes a bargain will turn out to cost more, due to inefficient practices or simply poor results. Invest in quality by selecting the investigator who meets your expectations at a fair price. For more information about hiring a PI, or for a referral to a licensed private investigator near you, contact a local private detective association.